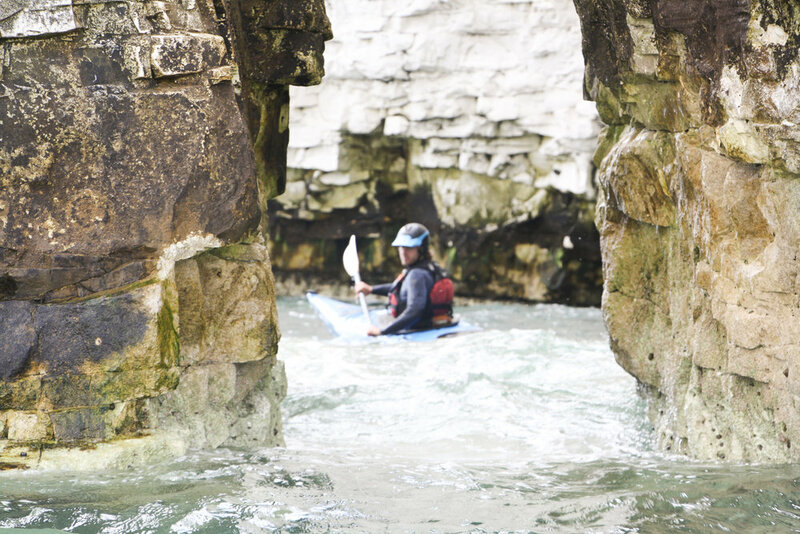 Join us on our introduction to sea kayaking course to learn to sea kayak. We will teach you all you need to know to start your journey in sea kayaking, starting with boat handling and water safety before setting off to explore caves, arches and secret beaches. These introductory courses are perfect for complete beginners and a great way in to the sport. We also sell these as individual sessions (£60pp per half day) or as this 6 week block where you will get your last session free. 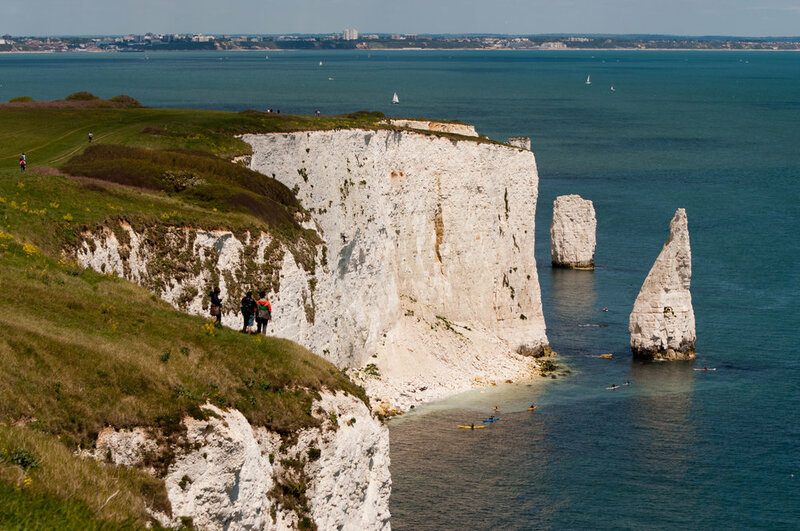 If you're lucky you will spot Dolphins, seals and incredible marine and bird life along the Jurassic Coast. Our location in Studland in Dorset is the most incredible setting for kayaking and Old Harry Rocks provides the perfect sea kayaking playground, our fully qualified kayak instructors have years of experience out on the sea and will teach you everything they know to help you progress quickly to develop your sea kayaking skills and knowledge to start taking journeys by sea kayak on your own. We supply all of the equipment you need, and have warm wetsuits and jackets to keep you dry and snug on the sea. On completion of the course you will receive your British Canoeing Paddle Explore Award and start working towards your British Canoeing Sea Kayak Award. Spaces are very limited as groups sizes are small, so be sure to book soon if you don’t want to miss this incredible opportunity.